13th season of Burger King Super Smash is going on now which is also known as simply Super Smash. 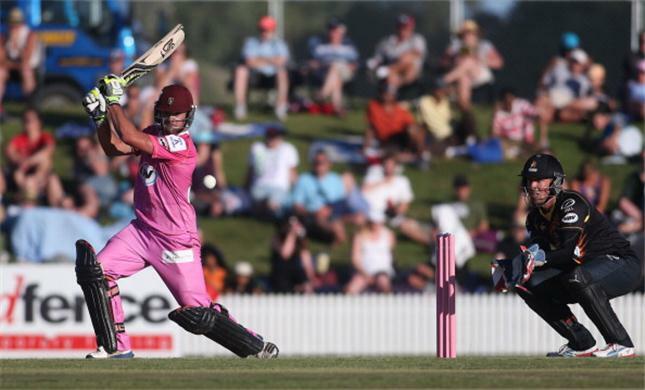 It is a New Zealand domestic T20 cricket competition where six franchise teams used to compete in every season. It used to stage in every calendar year and in the ongoing season, it started in 13th December, 2018. Now already half of the matches in the season have finished. In last match which was between Northern Districts and Otago Volts, Northern Districts won against Otago in Super Smash. Northern Districts are in top form in the ongoing season and they are holding the top position on the point table. On the other side, Otago is passing their worst season in running Super Smash and managed just one victory by playing number of matches. As a result, they are grabbing the last position on the point table. The match between Otago and Northern Districts was taken place in 2nd January, 2018 where Otago won the toss and decided to bat first. The match was hosted at University Oval, Dunedin. Came to bat, Otago scored 156 runs in 20 overs. Josh Finnie scored highest 46 runs for Otago Volts. In return, by playing 16 overs, Northern Districts reached the destination. Anton Devcich scored highest 88 runs and remained not out for Northern team. Otago started to bat with captain Nicol and Broom and openers added 36 runs when their partnership was broken. Broom was gone with his individual 18 runs. Nicol made another partnership with Hicks and their partnership added few more runs. Nicol was gone with 25 runs and Hicks scored 28 runs so far. Johnson and Boorder scored few runs but Finnie scored highest 46 runs for Otago. FInally in 20 overs, Otago presented 156 runs target in front of Northern Districts. They lost eight wickets totally in the meantime. Randell, Jordan and Mitchell took two wickets for Northern in the match. On the other side, Northern Districts players did their job properly. Two openers Seifert and Devcich made long lasting partnership that added 144 runs to the scoreboard. Seifert scored 55 runs and gone in 144 runs. This was the one wicket which was lost and later, Devcich and Hampton led the team to victory where Devcich remained not out with 88 runs and Hampton scored 9 runs so far. They just needed to play 16 overs to chase the score successfully. Duffy took one wicket for Otago. Three players made their T20 debut through the match where Tony Gillies and Derek Walker were the field umpires of the match.